FRIENDS and contemporaries of The Beatles reveal their personal encounters with the band in a TV documentary being broadcast tomorrow. Beatles Stories, showing on Sky Arts, has been a labour-of-love for American producer and musician Seth Swirsky. 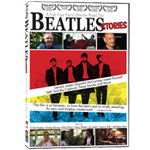 The documentary, which was screened at the Liverpool One Odeon last summer, includes the last ever appearance on film by Welsh actor Victor Spinetti who acted alongside the band in A Hard Day’s Night, Help! and Magical Mystery Tour and who died last summer. Lifelong Beatles fan Swirsky interviewed a host of people who knew or brushed shoulders with the Fab Four, including one who found themselves playing Monopoly with George Harrison, another eating beans on toast with Ringo Starr and a third performing with a Beatles tribute band in front of producer George Martin. The documentary also features Rory Storm’s sister Iris Caldwell, who was George Harrison’s first girlfriend, the Beatles’ original sound engineer Norman ‘Hurricane’ Smith and fellow artists including Graham Nash, Jackie DeShannon, Art Garfunkel and Smokey Robinson. In a separate project Russia’s biggest TV channel, Zvezda sent a crew to Liverpool to film interviews with people who have contributed to “The Beatles and Me” – a new book featuring never-before-seen Beatles stories and pictures. Beatles Stories is on Sky Arts tomorrow at 7pm.